The Lakos Twist II Clean series represents a significant breakthrough in solid filtration. The patented filter technology allows for five second cleaning without disassembling. These products are specifically designed to prevent equipment and system damage from suspended solids and sediments in a water system and are required for injector warranties. At half the price of automatic black flushing systems, these filters are the most cost-effective manual back flush system available. Plus, there are no expensive cartridges to replace. Reusable filter cartridge save you money. 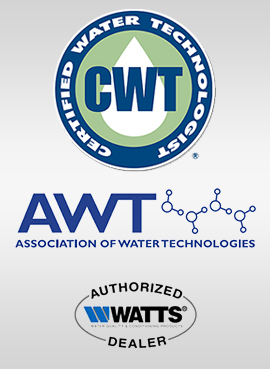 NSF Certified means is safe to use for drinking water systems. Low cost parts kits available for long life of the system. Watch our video to see how the Twist II Clean works. I have the 1.5" version with a 140 mesh (105 micron) screen. I can already see the sediment it has trapped from my well water after a week of use. I have seen no decrease in performance or pressure in any of my irrigation zones, which use 10 - 15 gpm, each. Black-flushing requires two hands for the quarter-turn, but works as advertised and completely cleans the screen within a few seconds. I would recommend adding a block valve to the bottom discharge port. The filter element is designed to seal against the clear housing, but if you don't screw the housing on tight enough or a piece of debris gets caught on the o-ring, it could leak a little. A $3 valve from the hardware store is an easy way to guarantee no leaks. Don't use the supplied thread-seal tape. It did not seal the threads and leaked when I first installed. Get a heavy-duty seal tape from the hardware store. That worked with no problem. I suppose you could also use pipe dope. I actually purchased two, a 1.5 inch and the other a 3/4 inch with the #200 mesh filters for a pre-filter and filter for my hydrogen peroxide injection system for my well water. Easy to flush out to clean and I'm very happy I don't have to turn off the water and remove the filters to clean. I purchased a 3/4"then found I should have ordered a 1". My son went down to the local plumbing store and got what was needed to convert it, he got some tips on how to do it. It just slipped right into place. Delivered promptly. All parts provided. Installed easily. Filters as expected. Clean-out function works well. I've had in operation one month with no issues. So far, sprinklers are working better, especially drip system. At this point, I would definitely buy this filter again.